Authentic Yoga Life hosted Harry Potter Yoga Nov. 1, allowing the opportunity for customers to dress up as the movie's characters as a way to celebrate Halloween. Although no one dressed for the occasion, the venue played the soundtrack to one of the Harry Potter movies in the background. For a small yoga studio behind the Bearded Monk, it is Harry Potter night. No — Hagrid is not doing the downward dog and Dobby is not striking the camel pose. The furthest it goes is John Williams’ movie score and King’s horcrux T-shirt, but it is still indicative of Authentic Yoga Life’s spirit. King said she started these themed session by simply playing different playlists, and when the response was positive, it began to evolve into creating different and fun yoga sessions. 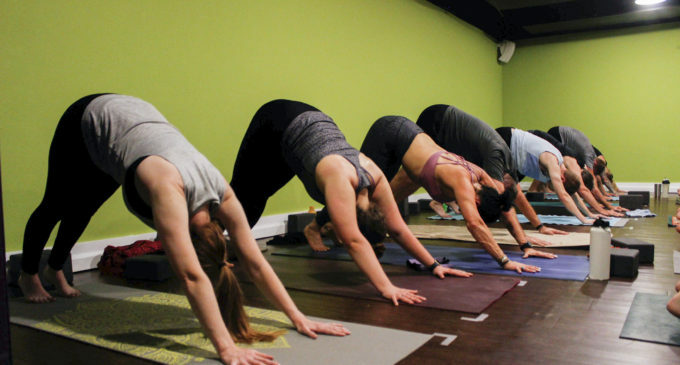 This is how instructors at Authentic Yoga Life are bringing a fun twist to the practice, even if it is a somewhat unconventional method for the practice. Themed yoga sessions have now been happening everywhere across the nation. Goat yoga and tacky Christmas sweater yoga are just some of the events that have popped up in Dallas alone. King said she is planning a Star Wars-themed session for December in time for the upcoming movie. Other future sessions include Tom Petty night, bulldog night and Rihanna night. Authentic Life also partners with nonprofits for fundraising events, where some of the proceeds go to respective organizations. Beresford runs the nonprofit Bulldog Rescue Squad, which rescues and provides services for purebred French and English bulldogs. This month, the nonprofit and Authentic Life will be co-hosting a bulldog themed session. Beresford has been going to the studio for five months now. She said it has been a good way for her to let go of the stress in her daily life. Beresford said she was looking for yoga studios in Frisco but found that Denton’s options were better for her. “Denton just has a better feel for yoga,” Beresford said. Likewise, members have helped those who want to get away from daily responsibilities, even if it is just for a few hours.